Donald Trump hasn't even been sworn in yet, but net neutrality advocates are already bracing for a fight to save the Internet -- again. On Tuesday, President-elect Trump named Roslyn Layton as the third adviser on a "landing team" to handle the transition process at the Federal Communications Commission. Layton, along with the other two advisers -- Jeffrey Eisenach and Mark Jamison -- have all been vocal critics of the FCC's net neutrality rules, which are intended to keep the Internet open and fair. "Net neutrality in the U.S. is backfiring," Jamison wrote in one post earlier this year for the American Enterprise Institute, a conservative think tank that Eisenach and Layton are also affiliated with. He claimed the regulations "frequently work against the entrepreneurs and consumers the rules are intended to help." Their roles in the FCC transition have ignited concerns among some in the tech community who led the successful push for net neutrality rules in early 2015. Trump's limited commentary on net neutrality only adds to that fear. "Remember when we protected Net Neutrality in the U.S.? We may have to do it again," Denelle Dixon-Thayer, chief business and legal officer at Mozilla, wrote in a blog post, an advance copy of which was provided to CNNMoney. "Importantly, we can and we will." The FCC approved rules in February 2015 that require Internet service providers to treat traffic from all web services and apps equally. The goal is to prevent what some see as a nightmare scenario: Internet providers like Comcast (CCV) and Verizon (VZ) being able to speed up content from a service like Netflix in exchange for a fee or slow it down to make it less competitive. The rules have faced legal and legislative pushback from cable and telecoms as well as Republicans in Congress, but net neutrality supporters have enjoyed the backing of President Obama and the FCC's Democratic majority. That is about to change. "The Trump administration is just the latest and perhaps most significant threat to come our way since the 2015 win," says Timothy Karr, senior director of strategy at Free Press, one of the groups behind the fight for net neutrality. "We're ready and united." 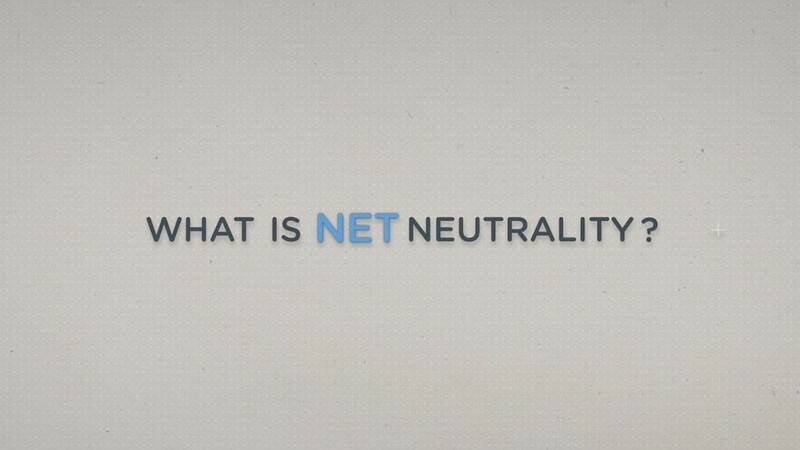 In the leadup to the rules getting approved in early 2015, net neutrality advocates held protests offline. Tech companies like Mozilla, Netflix (NFLX) and Vimeo also staged an Internet Slowdown to call attention to the issue. "We haven't talked about advocacy efforts yet, but my expectation would be that the people who were motivated to get fired up about net neutrality in the first place are still likely to do so," says Michael Cheah, general counsel at Vimeo. For now, Cheah and other net neutrality supporters are taking a wait-and-see approach to the new administration's policies. It's unclear whether Trump's FCC will push to scrap net neutrality as we know it, or simply rethink the most controversial part of the rules: the decision to reclassify and regulate broadband providers as a public utility. "We certainly oppose scrapping it, but if they want to do it a different way, we want to see how they want to do it," says Chris Lewis, VP of government affairs at Public Knowledge, a tech advocacy group. "Yes, folks are nervous," Lewis added, "but we have a new administration coming in... and we are prepared to advocate with them as we are with anyone."